The frames on Jennifer Mollencupp's office walls are a roadmap of her life. Several of the simplest frames hold certificates that tell of her time in South Bend between July 2005 and June 2008 working as a resident in family medicine. A thick ebony frame holds the July 2006 certificate from the State of Indiana that gives her permission to practice medicine. And a weighty red-matted frame boasts one of her biggest accomplishments: the diploma dated May 2005 signifying that she earned her doctor of medicine degree from Indiana University. But for Mollencupp, all of these accomplishments are grounded by the modestly framed and simply matted certificate at the end of the hallway that's been with her the longest: the May 2001 bachelor of arts degree from Indiana State University. The road from Mollencupp's small hometown of Kewanna, Ind. to Terre Haute, to Indianapolis, to South Bend and then back home again is exactly the road she set out to travel. 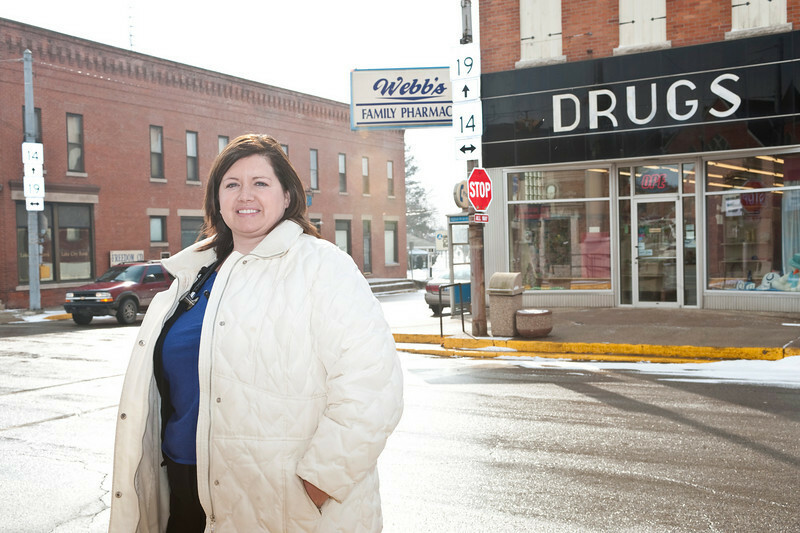 She was still attending high school when she realized she wanted to practice medicine, and her small-town roots made the idea of being a rural community doctor appealing. "It's a long trip for a student to make from when they're in high school to know what they're going to do in their career," she said. "I knew I wanted to go into medicine, but I didn't know the road to take." ISU laid out a path for her to get there. While Mollencupp was still in high school, she attended an ISU summer course in medicine that introduced her to the school. Later, when she learned of ISU's plans to offer a rural health baccalaureate medical degree program -designed specifically to prepare students from rural Indiana to return to their hometowns as primary care physicians - she knew ISU was for her. As a student at ISU, the curriculum and demands weren't easy, Mollencupp said. The program requires that students concurrently participate in the ISU Honors Program, maintain a 3.5 GPA, and secure a test score on the medical school entrance exam that is equal to the mean of those who took the test the previous year. The big payoff for an ISU rural health graduate is that they secure for themselves enrollment at the IU School of Medicine. "That was a pretty exciting thought, because the chances of getting in medical school are pretty small," Mollencupp said. "There are a lot of applicants for a few spots, so to know you sort of had that spot saved for you was enticing." As a graduate of the first class of students from ISU's rural health baccalaureate medical degree program, Mollencupp is an example of what the program is designed to accomplish. She advises others to take advantage of it. "I felt like I got a lot of one on one attention from our advisors," she said. "If you were willing to work, and that's really what you were interested in, they really were going to do everything possible to work with you to get you to your goal." Mollencupp's goal these days is to provide quality medical care in the small, northern Indiana office 20 miles away from the high school she attended. As the only doctor practicing out of the Akron Medical Center, Mollencupp is a primary caregiver for rural residents who prefer not to travel the 10 miles to the neighboring community of Rochester or the hour north to the more populated area of South Bend. During her day, Mollencupp is as likely to arrange for a stroke victim's therapy as she is to listen to the heartbeat of an unborn infant in its mother's womb. She examines people she grew up with, family members, anyone in her small town who might need the assistance of a doctor. And that's exactly the way Mollencupp likes it. "I see it as a privilege to come back to the smaller town where I'm from," she said. "To be able to work with the families that you know and the people you grew up around, your family and your grandparents, it's really a special experience." Writer/contact: Rachel Wedding McClelland, assistant director of media relations, Communications and Marketing, Indiana State University at 812-237-3790 or rachel.mcclelland@indstate.edu. Cutline: Dr. Jennifer Mollencupp stands on the main street of Akron, Ind. where she has returned to practice medicine after graduating from Indiana State University's rural health baccalaureate medical degree program. 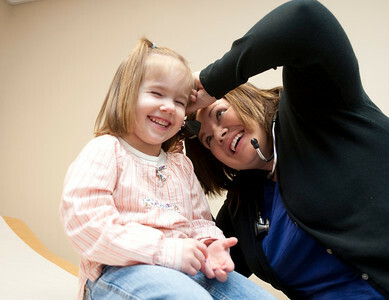 Cutline: ISU rural health graduate Dr. Jennifer Mollencupp examines a patient in her office in Akron, Ind. Mollencupp, a member of ISU's first class of rural health scholars, is one of the first of her class to begin medical practice. Jennifer Mollencupp is an example of what ISUâ€™s rural health baccalaureate medical degree program is designed to do.